This show has a 4 ticket limit per household. Orders exceeding this limit are subject to cancellation without notice. For a band who had gigged pretty much nonstop since forming, Mumford & Sons' five-month hiatus – which began when they completed their world tour for the Babel album in September 2013 – was their first proper break in almost five years. Yet their decision to step off the merry-go-round was born as much of confidence as it was exhaustion, or a desire to catch up with themselves. In the months leading up to the end of the tour, Marcus, Ben, Winston and Ted had spent time with The National's Aaron Dessner, recording demos in his New York garage, pottering around guitar shops, experimenting with his vintage amps. The band reconvened in February last year at Eastcote Studios in London, where they had recorded their debut album, Sigh No More. So began an eight-month period of writing. Joining them at these sessions was the producer James Ford (Arctic Monkeys, Florence + The Machine, Klaxons). "He'd listened to a few of the new songs," says Marcus, "and just said, 'Yeah, I like them.' No more than that. He's so understated, but it was good for us. So we started playing, he sat behind the kit, and off we went. It felt like having an older brother in the studio. And he made it fun. It should be fun." Right from the opening bars of Tompkins Square Park, it's apparent that those early sessions in New York and London witnessed a change in the band's approach not just to writing and recording, but to texture and dynamics, too. There is a minimalist yet panoramic feel to the new album, whose sound Marcus describes as "a development, not a departure." Which came about how – by accident, or as a result of a conscious decision? "It was a bit of both. Towards the end of the Babel tour, we'd always play new songs during soundchecks, and none of them featured the banjo, or a kick-drum. And demoing that song with Aaron meant that, when we took a break, we knew it wasn't going to involve acoustic instruments. We didn't say: 'No acoustic instruments.' But I think all of us had this desire to shake it up. The songwriting hasn't changed drastically; it was led by a desire not do the same thing. Plus, we fell back in love with drums! It's as simple as that." "It felt completely natural, though," says Ben, "like it did when we started out. It was very much a case of, if someone was playing an electric guitar, drums were going to complement that best; and, sonically, it then made sense to add a synth or an organ. We chose instruments that played well off each other, rather than consciously trying to overhaul it." In another development, the new album is the band's most collaborative to date, with all four musicians putting their shoulders to the wheel, and much of the writing taking place in the studio. Moreover, in stark contrast to Babel, none of the new songs has been road-tested live: fans will come to them fresh. The shock of the new, then? "It's an invitation," laughs Marcus, "not a challenge." "Working with Aaron," says Winston, "his approach to making music is that you chase every idea; chase it to the end. Even if you don't like the idea, stay with it, follow it." "He taught us more about collaborating, too," adds Ben, "in terms of working with each other. He gave us words of wisdom we hadn't heard before. It encouraged us to celebrate each other's ideas, and never abandon something. And that's not a bad habit to learn – on a personal level as well as a creative one." "It was probably the most fun record to make out of the three," says Marcus. "yeah, it definitely was," says Ted. "It was just a much more democratic process," Marcus continues. "We were all allowed to have an informed opinion on what the others were doing, and I think that made us more vulnerable, but more willing to accept other opinions, too. We'd sit down and thrash ideas out." Ben: "And we were much more comfortable in a studio environment this time. It was our third bite at that, and our understanding of how a studio works was different to how it was before. Eight years ago, we'd be going, 'What's compression again?'" The band who once told an interviewer that if they didn't play live they weren't a band at all now accept that the deeper perspective that that five-month break – and those writing sessions at Eastcote Studios – gave them was something they needed in order to progress. "One of the things I most enjoyed about being in the studio rather than on the road," Winston reflects, "was that you could play any instrument you liked; so you weren't thinking, 'I have to do this, play that.' We all felt that we could do anything we wanted, and achieve much more in the process." Believe, one of the new album's key songs, was a beneficiary of this more immersive, collegiate process. "We'd all gone to a wedding on this ranch in Texas," Marcus recalls, "and they let us stay in one of the outhouses for a week, so we could write. I left a day early, I can't remember why, and when we next met up at Eastcote, I swanned in, late, and they were working on that song. For me, that was the breakthrough moment in terms of the writing of the album; I could enjoy singing someone else's lyrics, as if they were my own. I adored singing it, and I think that experience, and the way the song came about, set the tone for making the rest of the album – for all of us." Marcus had just come from Capitol Studios in Los Angeles, where, with Elvis Costello, Jim James, Rhiannon Giddens and Taylor Goldsmith, he had been part of T-Bone Burnett's pop-up band setting newly discovered Bob Dylan lyrics to music for the Lost On the River: The New Basement Tapes album. "I'd recorded a vocal for that record that wasn't high, or loud, it was a bit more subtle and embellished, and I loved doing it. Just singing – without an instrument in my hands, or bashing a kickdrum, or a tambourine. And the same thing happened with Believe; I felt like a singer. I felt free." Lyrically, the album comes across like a series of snapshots – diary entries, postcards, internal conversations, about misunderstandings, heartache, commitment, deception and loss. It's a night-time record, a city record. Flitting in and out of the darkness of the shadows and brightness of the lights. Sound-tracking these clamorous emotions is music of incredible intricacy and subtlety, drama and depth, urgency and soul, which undoubtedly sounds like the turning of a new page, yet is still identifiably the work of a band whose songs struck a chord with millions because of the passion and fervour they conveyed. "That's the feeling that has always driven us to make music," says Ted. "Going to a gig, standing there with this feeling of how mystifying and amazing it all is. And the danger is that you begin to lose that as you get older, especially if you're in the music business. Which is why it's so important to hold on to it." "One thing that comes from being in a band for so long," adds Marcus, "is that you become much more sensitised to different sounds and dynamics; it's not a case anymore of thinking, 'We've got to put ourselves on the map here.' I think the new music is much less angsty, less frantic, because of that. Instead of 'Quick, we've got to get to the chorus', you learn to give yourself more space, and that means you can find yourself going, 'let's do a whole song that doesn't move beyond this level; it can just stay here.'" Inevitably, after such a long break, they are itching to play live again. This is, after all, the band that responded to the glaring spotlight of the Grammys, the Brits and playing a gig at the White House by heading off to the Scottish Highlands for a series of small-scale, ad-hoc shows. And who, in 2012/13, staged the Gentleman of the Road Stopover festivals in out-of-the-way locations across the world, supporting local musicians and businesses, and in the process reconnecting with their reasons for forming a band in the first place. "Doing it that way takes you away from this small nucleus of the band," says Ben. "You start coming up with ideas, concepts, collaborating with new people. We are proud of them, there's no point denying that; it feels like something not many other bands have done. Whenever I speak to people we work with, they seem proudest of that. So they're the vehicle, rather than the other way round. Of course, we wouldn't be able to do the Stopovers without the music, but in a way, we create the music so we can go out and do the shows." As we meet, new Stopovers are being planned. The open road beckons. Now, though, there's the small matter of learning to play the new material live – a task lent greater urgency by the announcement that they will headline the Reading/Leeds festival this August. When we meet, the band are one day in to a 20-day rehearsal period; endearingly, they betray the nerves of first-timers. "We've never played these songs live before," says Marcus, "which is another reason the new album is so different. "But it's not just a case of learning to play them; we've got to learn how to perform them, too. We've got a lot of work to do." They have, but it will be worth it. 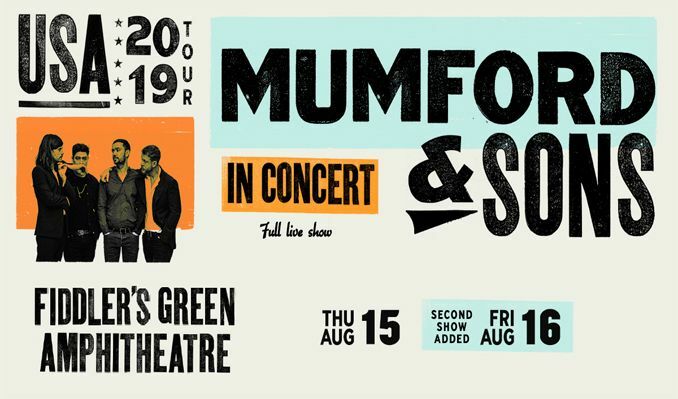 There is a clutch of new songs – Only Love, Believe, Ditmus, The Wolf, Wilder Mind, Just Smoke – that are going to soar in a live setting, and take us with them. "There was this moment yesterday," says Ben, "on Tompkins Square Park, where there's this countermelody I thought I'd played on the recording, and it turned out I hadn't. So I was like, 'Well, what am I doing on the chorus, then?'" Amid the gales of laughter that are always feature of hanging out with the Mumfords, Marcus adds: "And I realised that all I have to do is strum my guitar, one chord every four bars. I did think, 'Can't I do that on all the songs?"